You do not have to be Jewish to love, eat or cook with matzo. Similarly, you do not have to be Christian to love chocolate bunnies and jelly beans. I know this. 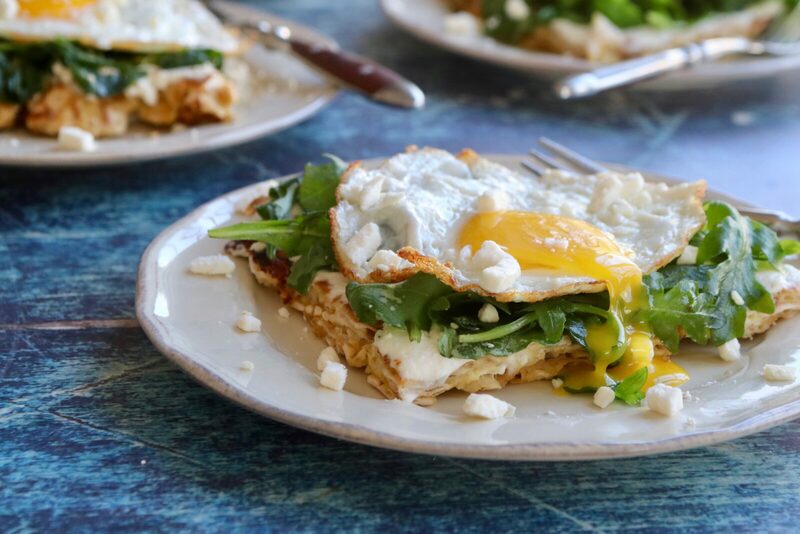 For Jews who keep Passover, the bunnies and jelly beans are currently off limits, but this wonderful dish, which I am calling matzo rosti, is definitely in keeping with the laws of Passover. Last night, we hosted a second night Seder. There was chicken soup with matzo balls, of course, and brisket, chicken, potato kugel, ratatouille and pomegranate poached pears with all kinds of macaroons for dessert. As I write this, we are in the car heading to our Easter celebration. Our sister-in-law made the Maple Bourbon Glazed Ham we created for Snake River Farms— we’re bringing the chutney and blueberry pie, and the rest of the meal will be a surprise. I’m hoping for a couple of chocolate bunnies. I love Peaster! My jeans, however, do not. So after our feast today, I’ll look forward to tomorrow night’s lighter dinner of this matzo rosti.